After so much speculation and leaks today Amazon has unveiled its first smartphone, building upon its wide expertise in the tablet space. 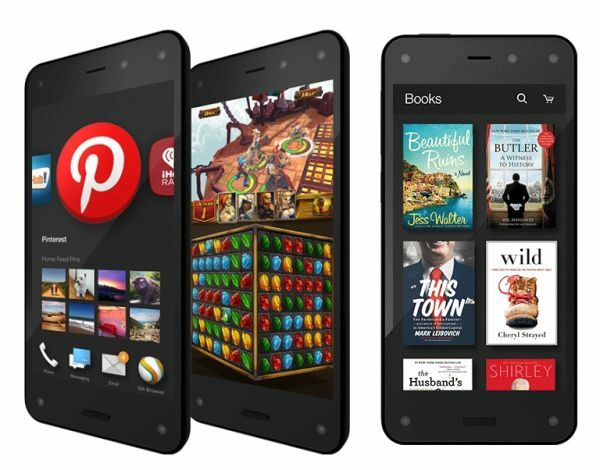 It's called the Amazon Fire Phone and its main selling points are bound to be Amazon's reach in terms of content services, as well as the unique 3D UI dubbed Dynamic Perspective. The Fire Phone boasts a 4.7-inch IPS 720p touchscreen with 590 nits of brightness, a Qualcomm Snapdragon 800 chipset with a 2.2 GHz quad-core CPU and Adreno 330 GPU, and 2GB of RAM. It has support for 4G LTE. The handset's frame is made from rubber, and a sheet of Gorilla Glass 3 is present both on its front and on its back. The buttons are made of anodized aluminum. This much talked about feature changes what's depicted on the screen depending on where you are in relation to the phone. It accomplishes this by tracking your eyes with four specialized cameras that are located in the front corners of the handset. Dynamic Perspective ties in nicely with tilt gestures that allow you to initiate actions by simply moving the phone. For example, you can tilt the device to scroll inside the browser, something eerily reminiscent of Samsung's Smart Scroll feature. And the same thing works inside ebooks, and even games. Amazon's first smartphone is exclusive to AT&T in the US. You can already pre-order it from Amazon, and it will be shipping on July 25. The commitment free price is $649. With a contract, the base 32GB Fire Phone would cost you $199 along with a new two-year contract with AT&T. Or you can choose the carrier's Next plans and pay $27 per month for the device. A 64GB option is available for $299. Update as of 13 September 2014: 32GB 2 years contract price is now zero with $449 contract free option as well. For 64GB these would be zero and $549.